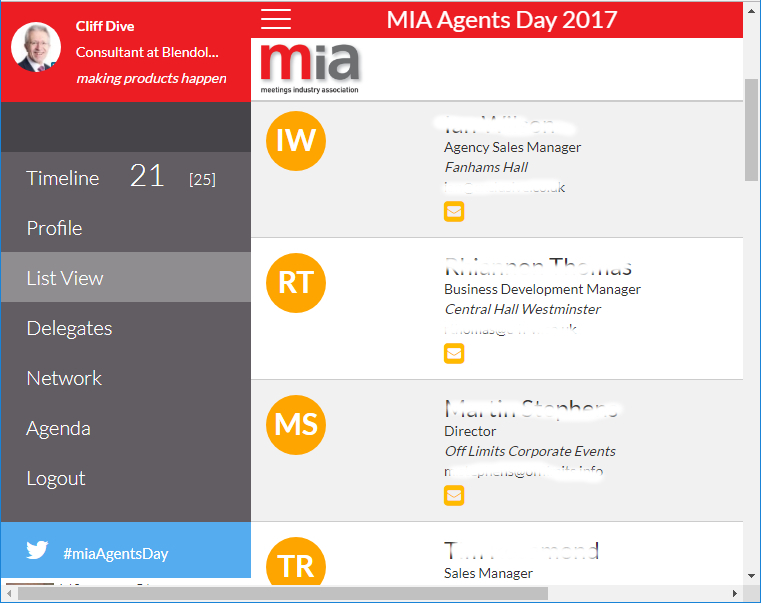 Last week I was invited to attend the MIA Agents Day at Robinson College in Cambridge. 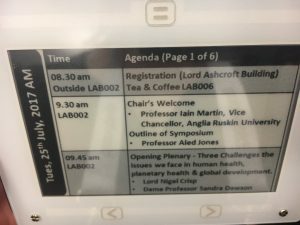 This was my first opportunity to see the exciting new Blendology E-ink conference badges in action. Five years ago I had been at the same venue as part of the team for Blendology’s second ever deployment at TVC 2012. What a great opportunity to see how far Blendology has come in those five years. In the early days at Blendology I used to joke (with many a true word being said in jest) that Blendology was offering customers a problem rather than a solution. In reality we were offering a professional networking solution that delivered benefits for conference organisers, exhibitors and attendees, but there was a price – not just a financial cost but increased complexity for registration and badge preparation. For many customers that was a price well worth paying, and the Blendology team was able to take much of the extra burden from the organisers’ shoulders. The benefits of the comprehensive event metrics from Blendology meant that many customers came back time after time. …until now. With Blendology E-ink badges the paper is gone! 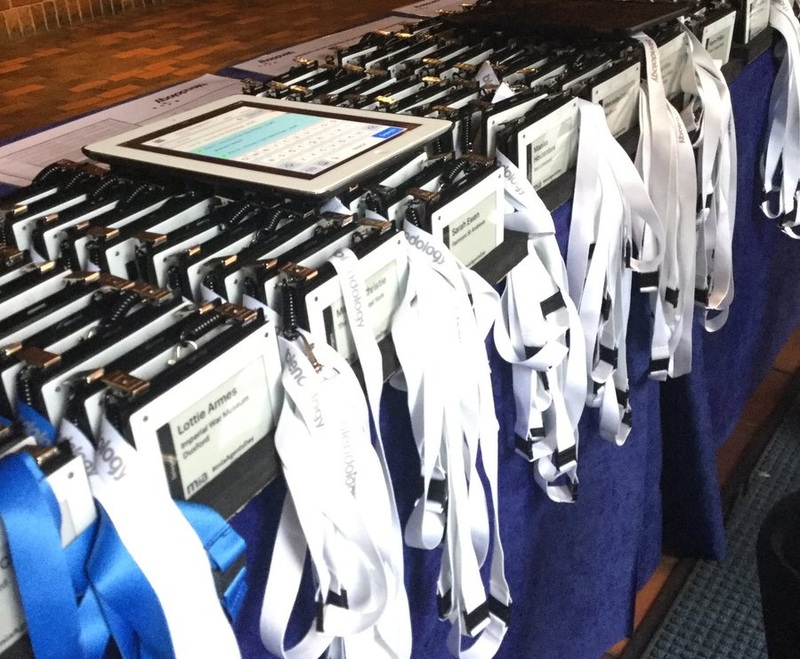 Each badge can be instantly wirelessly assigned to the correct attendee, handling both pre-registered attendees and those who show up on the day – no need for printers or sticky labels and a felt-tip pen, and (my bête noire) no alphabetical sorting of hundreds of badges. It’s now simpler to deploy the professional and sophisticated Blendology solution than even the simplest clip-on paper badge. 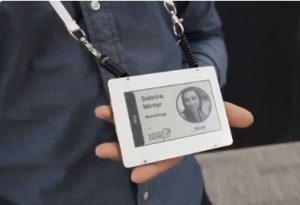 Blendology E-ink badges are now definitely a solution rather than a problem, even before you start looking at the other benefits. 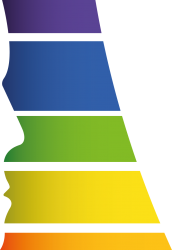 So let’s look at what Blendology can now offer at a professional event. Because it’s a paperless system, it’s simple to download new information to the badge, or reassign it to another person. Blendology demonstrated how, in a few seconds, they could take my picture on their iPad and add it to the display on the badge. Try that with paper badges. The information can be viewed in various ways or downloaded as an Excel file for entry in your CRM system. Users can chose what they share with others, adding information to their own profile either manually or by populating it with data from their LinkedIn profile – Blendology’s software uses a LinkedIn API and allowed me to very quickly generate an impressive profile. Blendology is exciting because it offers something to all the stakeholders. 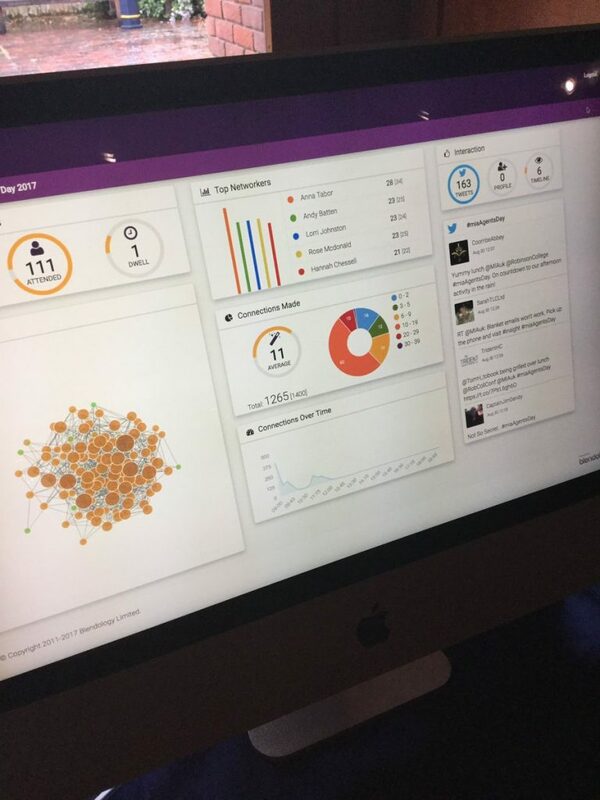 For the event organisers it’s great that the attendees and exhibitors have an attractive way to network, but even better that they can get analytical information about the event, both in real time and for later analysis. The data collected can demonstrate the success of the event in nurturing networks, and also provide location and footfall analysis. Blendology tap points on exhibitor booths can allow a self-service feature for visitors who want more information about a product, or facilitate conversations with booth personnel, working in a similar but less intrusive way to the commonly used bar-code scanners, as part of a single holistic data-collecting Blendology system. At that event 5 years ago we had a rudimentary registration app running on a PC platform. The system has come on tremendously since then with a range of capabilities to support pre-event and on the day registration, and in-event and end-of-day management features. With wireless hubs around the venue, connection data, footfall and room occupancy can be collected and displayed in real time, and attendees can be kept on track wherever they are with messaging to badges. Why isn’t Blendology just a phone app? This question gets asked all the time. Blendology has spent a long time working on this technology and has learnt that phones just don’t allow the same sort of universal connectivity – any solution for an event has to be “it-just-works” simple to deploy, and easy for attendees to use. Many people won’t download apps for an event. Even if they do, the wireless infrastructure at large events is notoriously unreliable. If you can get that to work, mobile phone incompatibility still prevents hassle free universal connectivity for all attendees. 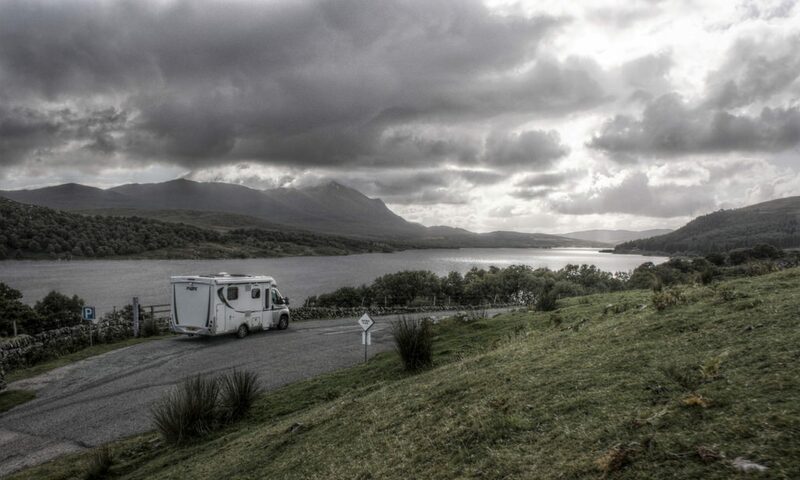 With Blendology it just works – it’s been designed so that it would work reliably in a tent in a desert, without any infrastructure or wireless connectivity. That’s what’s needed for events. In the early days of Blendology a paperless solution was our dream – that dream is now a reality. Blendology badges tell attendees they’re at a premium event. Blendology offers something special – it doesn’t just record networking, but promotes it. I’m impressed. One day all conferences will be like this.